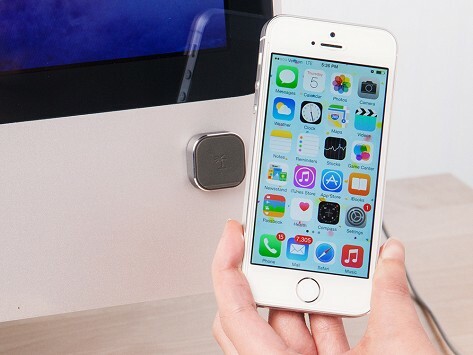 These small magnetic mounts keep your smart devices close at hand. Safe, simple to use in home or car, and even work with a protective case on your phone or tablet. Dimensions: 0.96" diameter x 0.3"
The Neutron S is a wonderful asset to my world. You know, the world of driving a 20 year old car, with no phone holder or charger, air vents too small or flimsy for those other phone holders. With a magnetic base the size of my thumbnail, my phone is held securely- I can plug in the charger one-handed without the phone dropping to the floor (usually under the seat)! Love this product. 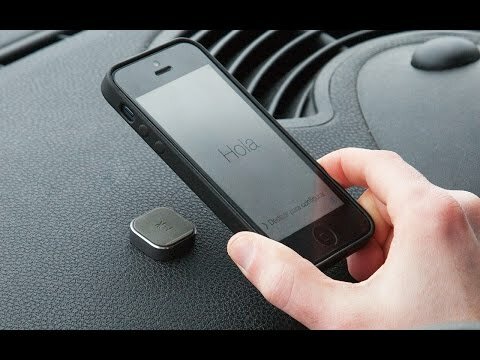 Holds my phone even when going over bumpy surfaces. Bungajungle products work effortlessly with your devices, while enhancing the way you use them. Using sleek design and inventive, strong magnets, Bungajungle solves everyday issues with style. Need to keep your phone or tablet nearby but safe? Neutron is a minimalist mount with a strong—but focused—force for hands-free use on your dashboard, fridge, or anywhere. Want to cover up the camera on a computer, tablet, or phone? Nope is a tiny magnetic privacy shield. Simply slide the magnets off the camera when you need to use it, and replace them when you don’t. Founder Anil Rami, a Chicago tech guy turned entrepreneur, set out to create accessories that combine easy functionality with a look that compliments phones, tablets, and computers. Made with magnets that are extra strong yet safe for your devices, Bungajungle's products are undeniably attractive.